She has conducted experimental ESP research, survey studies of psychic experiences, as well as an examination of texts in parapsychology from a science studies point of view. Currently she is an Adjunct Professor in the Department of Psychology at the School of Behavioral and Social Sciences at Northcentral University, teaching undergraduate courses, masters and doctoral level courses in research methods, basic statistics and the history of psychology psychology online, a Research Fellow at the Parapsychology Foundation, and the Head of Department for the online Parapsychology Programme at the International University of Graduate Studies. Recently, Zingrone and her husband, Dr. Carlos S. Alvarado, have re-energized their consulting business offering a variety of research, translation, and online teaching services. Currently they are working on updating their main website, and their research website, with an aim towards data collection on a variety of exceptional experiences from their traditional interest in the out-of-body experience and apparitions, to a renewed interest in shared death experiences thanks to a grant from IANDs. They are also involved in a variety of online teaching activities related to the field including their YouTube channel, Parapsychology Online; their teaching activities using the Virtual Classroom at www.WizIQ.com, and in the AZIRE Learning Center in the virtual world, Second Life, mainly organizing the annual free online course, Parapsychology Research and Education with the support of the Parapsychology Foundation. They are also working with the Parapsychology Foundation to expand the PF's online presence through the Parapsychology Foundation YouTube channel, and the Parapsychology Foundation Lyceum Online Academy on WizIQ. Nan Zingrone updated their profile. Nan Zingrone commented on Parapsychology Foundation International Affiliates Conference. 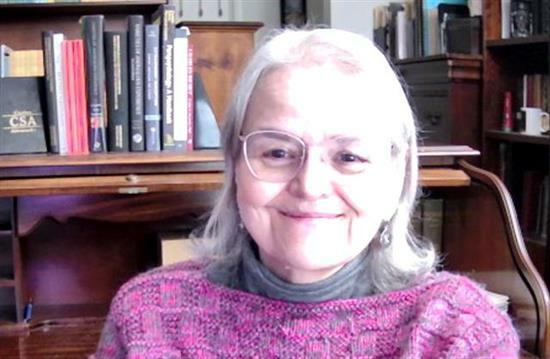 Nan Zingrone will be attending Parapsychology Foundation Forum: Recent Advances in UK Parapsychology. Nan Zingrone posted Parapsychology Foundation Forum: Recent Advances in UK Parapsychology. Nan Zingrone commented on United States. Nan Zingrone will be attending Cherylee Blake on Experiencers. Nan Zingrone posted Cherylee Blake on Experiencers. Nan Zingrone updated Second Life Discussion Group for Parapsychology Course. Nan Zingrone posted Second Life Discussion Group for Parapsychology Course. Nan Zingrone will be attending Cherylee Black "We Are All Experiencers".